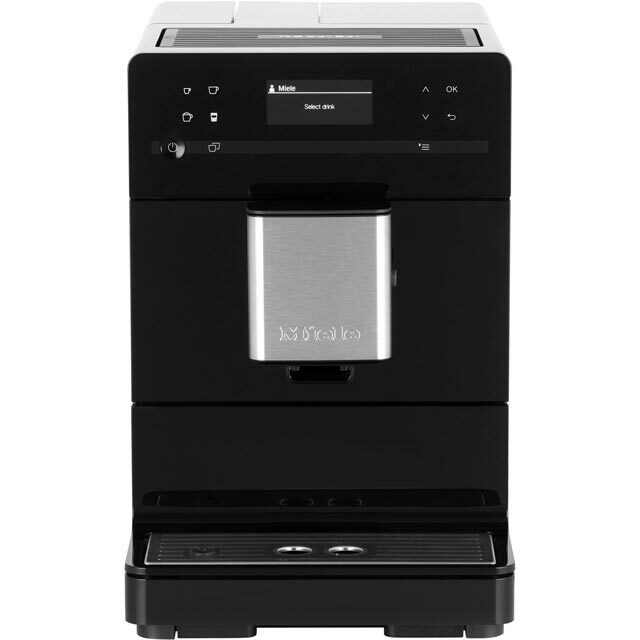 Enjoy luxuriously smooth drinks every time with this fantastic Miele bean to cup coffee machine. With a choice of 10 pre-programmed coffees, you can always look forward to the perfect cup. Thanks to this model’s integrated burr grinder which uses less heat to prepare your beans, their rich, aromatic flavour is better-preserved. It has a clever AromaticSystem too, which expertly mixes water and coffee for an authentic flavour. It’s easy to enjoy your favourite beverages at the touch of a button too, as the handy memory function remembers your preferred drinks. This machine also has an automatic cleaning programme, so keeping it in great condition is simple. This machine is so sweet – it’s a great size, doesn’t take up too much room but still makes fantastic coffee. The crema on the espresso is really impressive and the resulting flavours are great. Milk froth is thick and creamy and making 2 drinks at once takes no time. Plus it rinses itself so the coffee is always fresh. * CM5300_BK was at the higher price between 25/01/2019 and 18/04/2019.